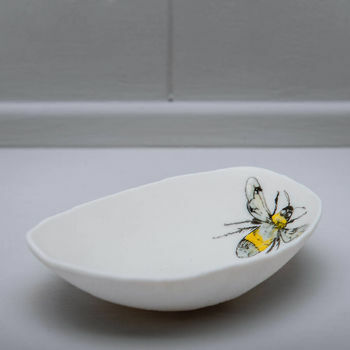 A small porcelain bowl with a lovely hand painted ‘Bumble Bee’ illustration. 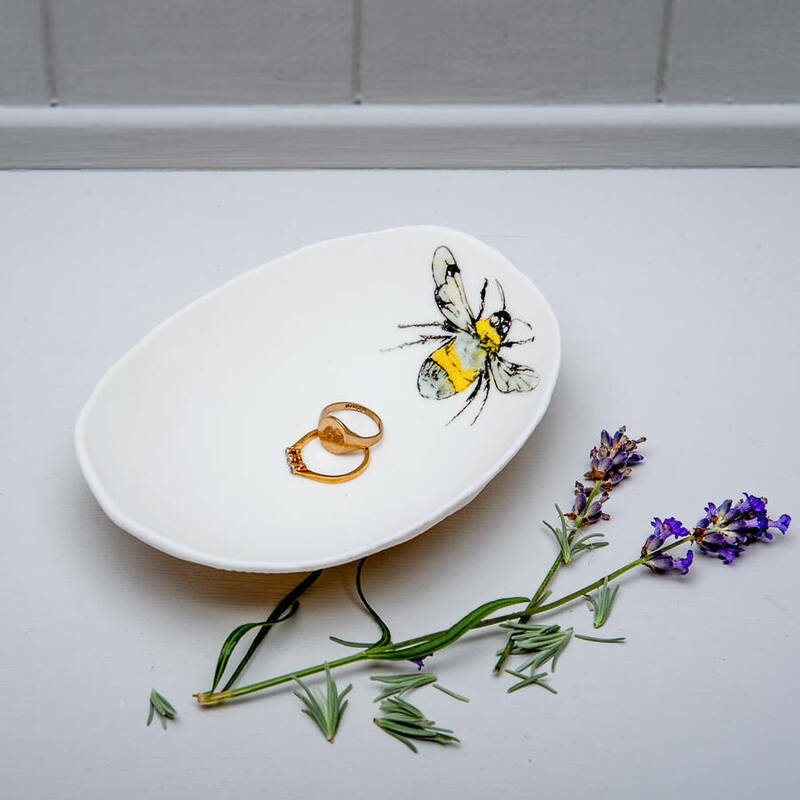 Perfectly sized for a ring bowl, this pretty little bowl is ideal as a lovely gift for someone special or a new addition to your interior. 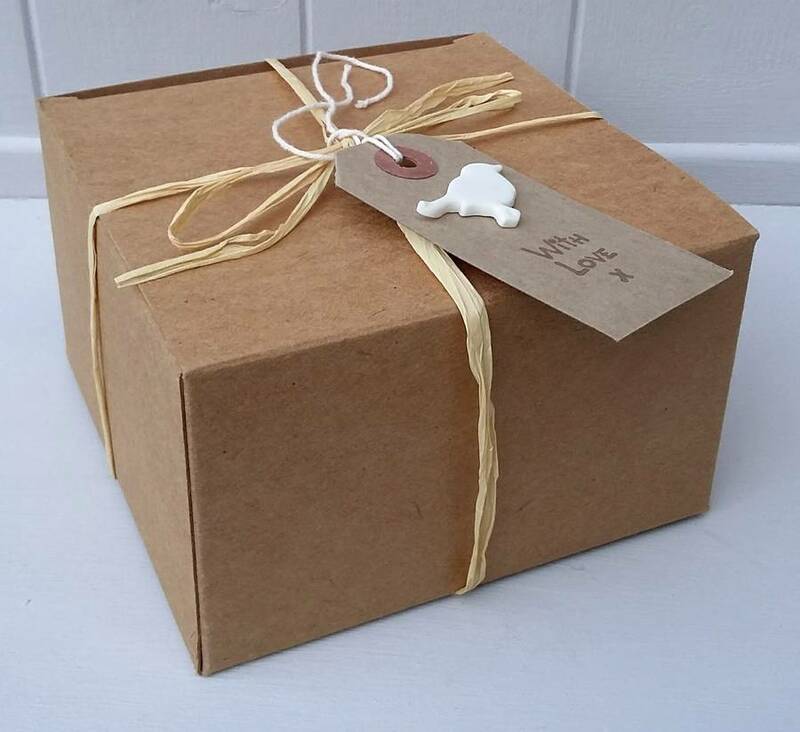 Each piece is made by hand in my studio in the picturesque town of Conwy in North Wales. 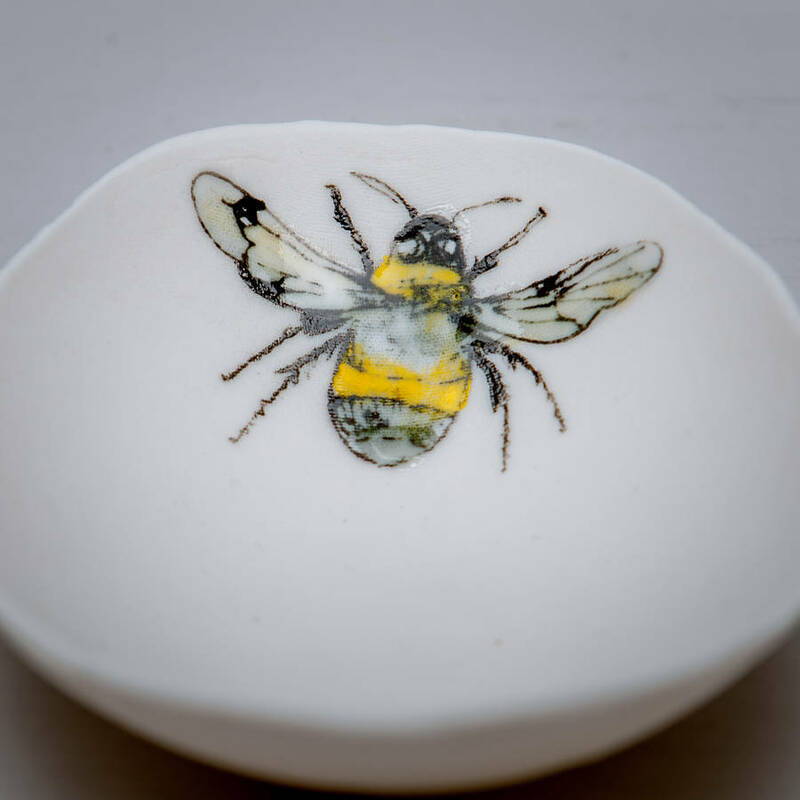 The porcelain bowl combines a subtle fabric impression on the base and an individually hand painted ‘Bumble Bee’ making each a unique piece of hand illustrated ceramics. To complete the ceramic process the illustration has glaze applied and fired to stoneware temperature. 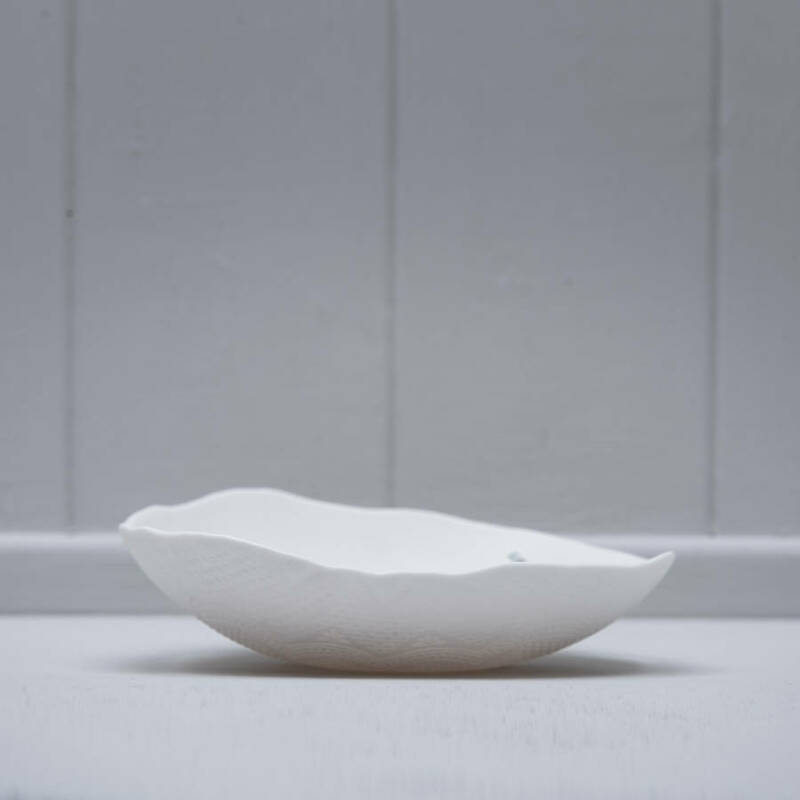 The bowl has a natural round organic shape. Due to each bowl being handmade there will be slight variation with shape, form and illustration. Porcelain which is renowned for its whiteness and translucent qualities. 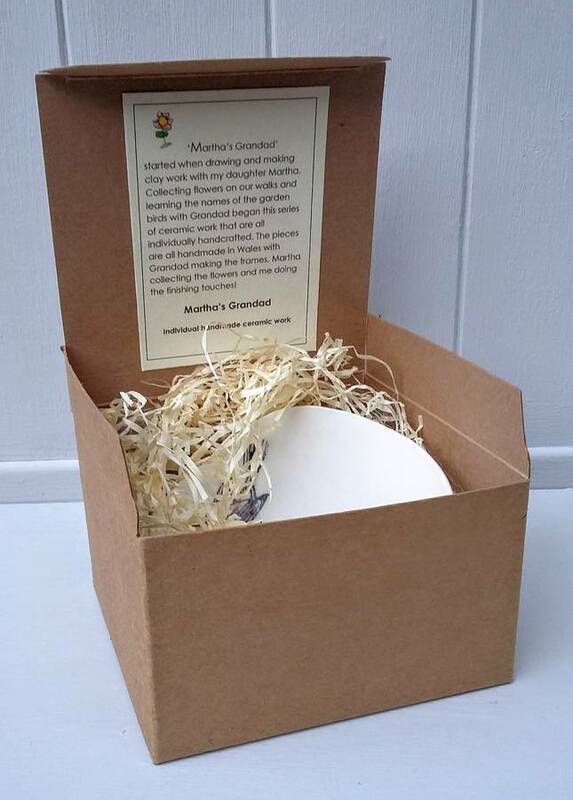 This product is dispatched to you by Martha's Grandad.